I was so happy when I heard Lucian’s plans to propose Janiella. Lucian had not had any doubts that he wants to spend the rest of his life with her, although they were together for only a few months. 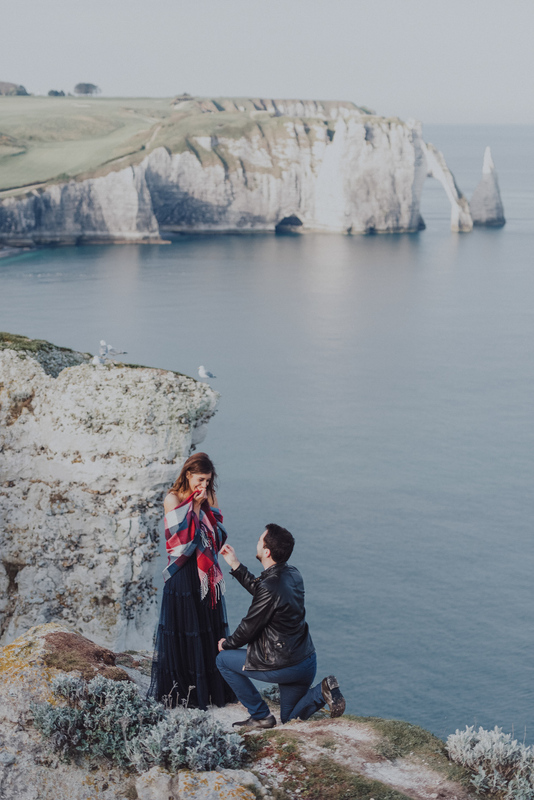 Naturally, I was delighted to be a part of his surprise proposal in Normandy on the cliffs. What can be better than such a magical day? Perhaps their wedding day in October in Paris that I cannot wait to shoot. Hope you will enjoy the pictures of this crazy in love and happy couple!